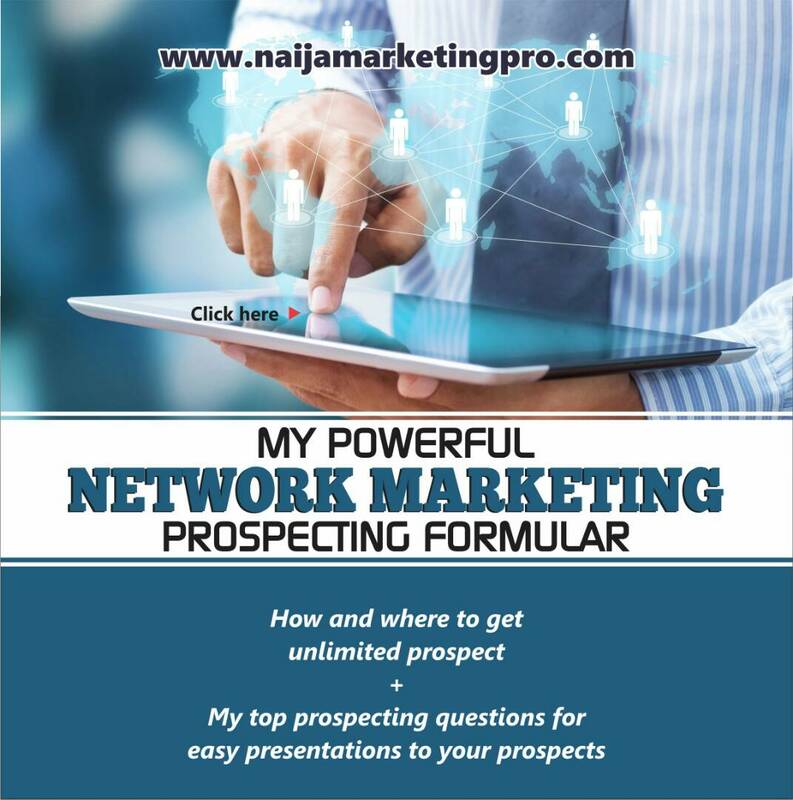 I could remember when I newly started getting involved in network marketing, I researched and memorized how to answer objections from prospects in network marketing. The reality is, it doesn’t work in that way. Now let me ask you this question. How many hours have you spent researching and memorizing stock, scripted answers to the most common objections you can possibly get from prospects? Many at times, after applying all we have memorized and seems not working out as expected, the next thing many people turns to do automatically is to go angered and be embarrassed! Now, how does it look to your prospect when you turn and with anger or embarrassment react personally to the objection they just showed you? After some years of experience, I can lay out for you the most common prospect’s objections that you will have to handle in network marketing in order to move on to getting your desired results and have the success that you and your team deserves. I like practical demonstration and this day, we will delve more into practical demonstrations of how to answer objections from your prospect. Now, ask yourself, does my prospect sincerely wants me to answer him with my opinion? You see, your opinion could make him wrong and truly your opinion may not be worth very much to your prospect. You say white and your prospect says black. Who is right? What more can you say? What more does he wants to tell or answer you? And who’s going to be right or wrong? Don’t make this mistake, don’t try to convince him to joining your company. Professional network marketers do not convince, sell anyone on their business. To do so would be like ‘convincing’ someone to join your football team. You might succeed in convincing them, but they are probably not going to play very well. So, what should you do? Listen! Listen and Listen…. You need to listen to their thoughts, what they feel, their fears and doubts. You need to listen to your prospect to throw opportunity toward you rather than the opposition of objections at you. Objections can be a great opportunity for you to create a lasting impression and relationships with your prospect only when you could listen to them by hearing and understanding their feelings, thereby giving them a chance to open up to you. 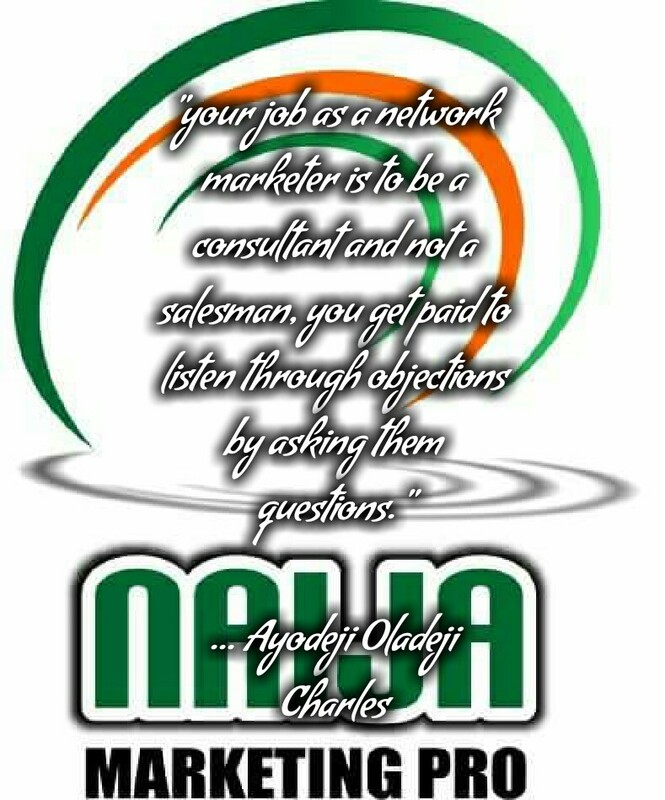 In fact, your job as a network marketer is to be a consultant and not a salesman, you get paid to listen through objections by asking them questions. What you’re about to read, following, are the most typical objections by your prospect, when you’re trying to recruit them in your business opportunity. But you and I know, that most times, it’s just an excuse and not any objection and this is why you need to listen, listen and listen by asking questions. It may take some time before you master it but the more you practice, the easier and more fun it gets. Recently, a lady called me on the phone that she will like to join our company, I quickly congratulated her and ask her some questions but at a point I observed some objections coming from her. She asked, “But what if I can’t afford the start up capital now” I listened and replied, ‘If you can’t afford the start up capital now and this business has the potential to make you independent and get ahead in your finances, would you do something about getting started today?’ Immediately she replied me back and said, “I checked my account and it’s low but I will do something” I said ‘OK.’ She asked again, “Please it takes to how many days or weeks to collect my rewards?’ I answered with ‘Hello, are you ready to begin now? When you said you wanted to begin, were you serious or just kidding?’ “Let me begin then,” she replied and I immediately answered with, ‘Let me know when you have sent the money for your registration and I will teach you how to make your start up capital back. Congratulations,’ she said, ”Okay.” And that’s how we rolled up together and she’s doing well today. Another one is this, I wanted to recruit him and he said, “I have no time to do your business!” I am aware already that his plate is full, no time for fun and has long working hours and I don’t have a business opportunity that creates JOB rather a means to getting financial freedom lifestyle. Since what he said is in the classic ‘No time’ objection. Immediately, I replied with, “It sounds like you really don’t have any time even to do little things. You probably may not even have the time to read newspaper or watch the weather forecast on TV do you? Do you have anytime for yourself?” What I did there was to connect him with his emotion, to remind him of what he will like to do each day which means I honor his values and not oppose or fight with his objections. To save our time, I registered him and he’s doing well today. 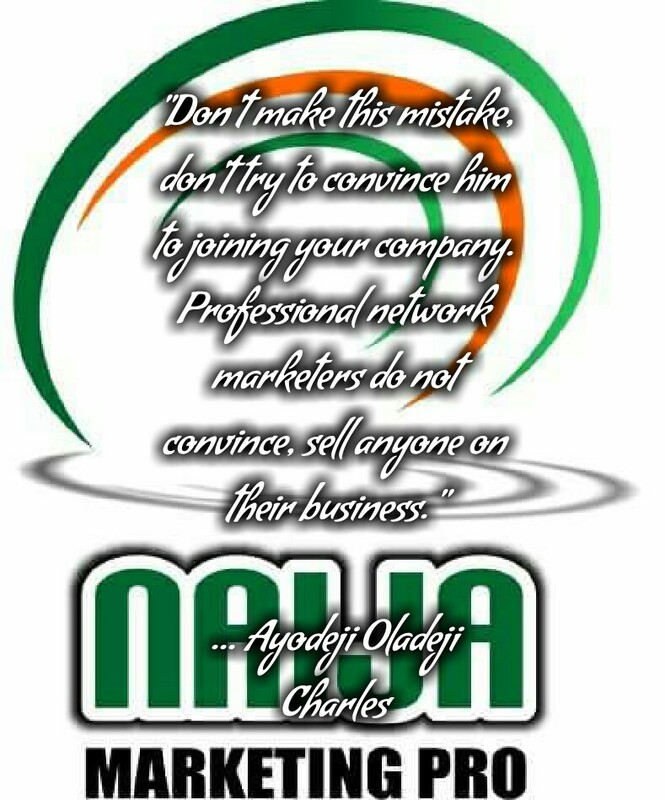 Another one is this, “I can’t sell, I don’t even want to bother my friends,” Many of your prospects think that in order to succeed in network marketing, they must be professional salesmen or bother everyone before they could join them. I learnt this from Eric Worre, I quickly realized where that objection is coming from so I asked, ‘If I could show you how we share this opportunity with others without it sounding or looking like a sales pitch will that interests you, would it help you, would you be willing to look into it with an open mind?’ Then, I will share it quickly with them on how what I have is an opportunity that will fit them and help their friends and family to get ahead in life. You just have to get the concept, what I have shared with you is what you may have to come across for the rest of your career but practice, practice and practice is the key to this concept. Also, be reminded, listen to them with an open mind and ask sincere questions that will show them that you really wishes to help them and that what you have is a vehicle to helping them. 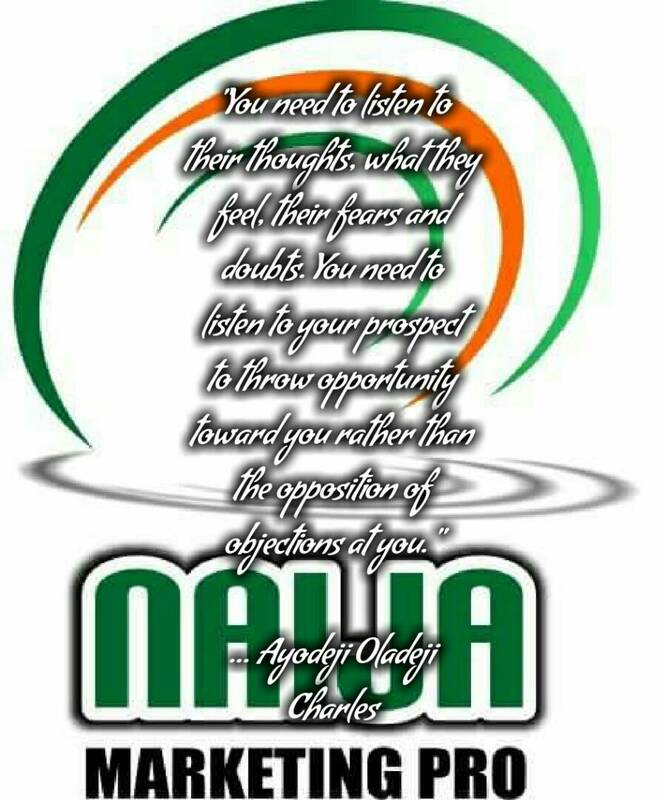 Don’t push them, don’t convince them but you can persuade them by listening, honoring, asking questions and respecting their wishes, they will begin to respond well to you when you started applying this concept and when you say proudly that what you have is a network marketing opportunity. You will then see how much the world needs you. 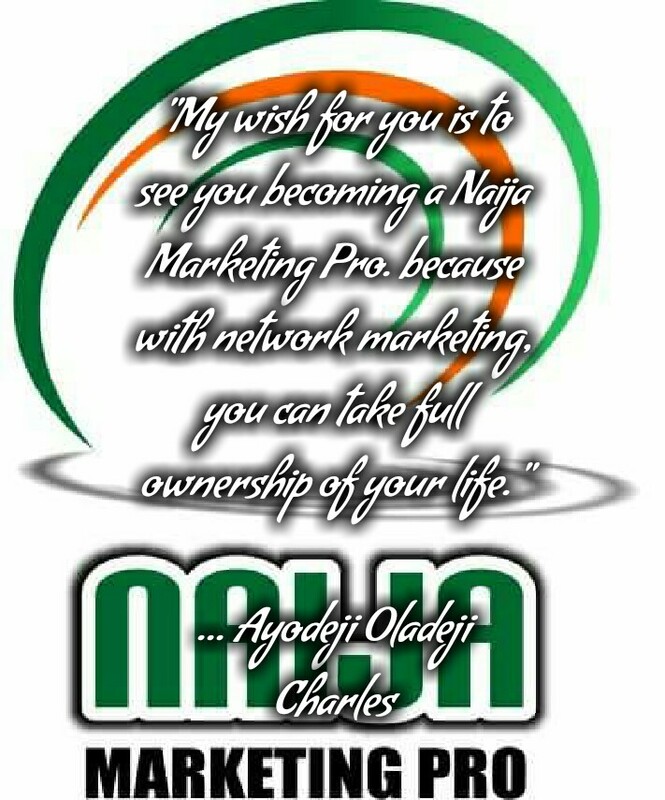 My wish for you is to see you becoming a Naija Marketing Pro. because with network marketing, you can take full ownership of your life. « HOW TO RECRUIT 10 PEOPLE EFFECTIVELY ON SOCIAL MEDIA IN A MONTH. Hey Samuel, you will have to be following our articles. I was once like you until I stumbled upon principles that has paid off greatly for me. Just follow up with our articles. This is really an eye opener to solution to many hidden problems that had been bothering my mind, with this piece of information, I have been highly equipped to start and face my any would to be prospect and win his/her interest over. Good God bless you is my prayer. Mr AOC. Go and make it happen. I hope to see you at the top.